Hi there, since we have so much snow in parts of the US, I wanted to create a spring card to remind everyone that's its coming. This week's challenge at Cheery Lynn Designs is Anything Goes, so it was fun to create just about anything with some gorgeous brand new release dies. To create this card I started out with cutting an A2 size card out of white card stock. Than I cut a smaller rectangle panel out of a patterned paper and added it to my card front. Next I die cut a Fleur De Lis Square Doily out of white card stock and using pop dots I added it to my card. 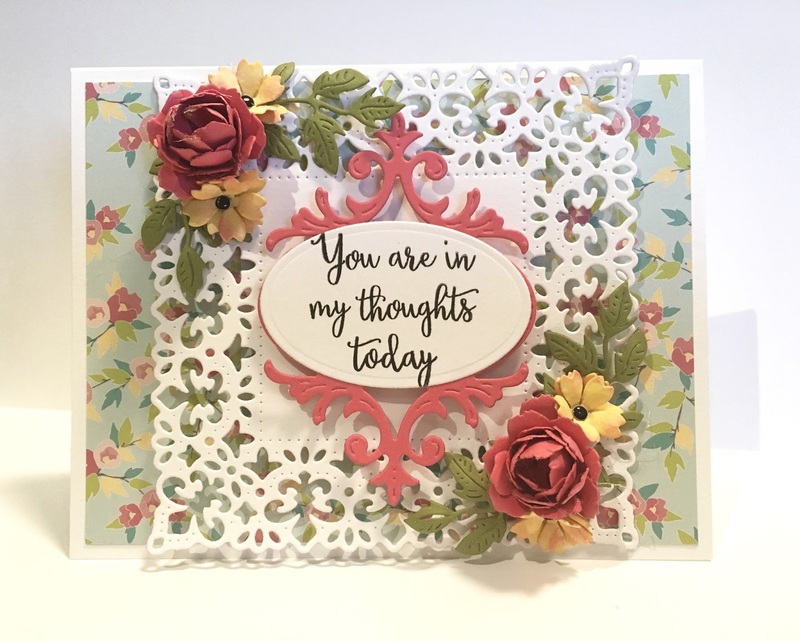 Next I die cut a Quadrafoil Tag out of pink card stock, than an Oval out of white card stock and stamped my sentiment on it using Justrite Papercraft's Doodled Roses set and paper pieced it in the middle of my tag die ad using pop dots I added it to my doily. Ivy Strip dies to add to my flower clusters and added them in the corners of my doily. 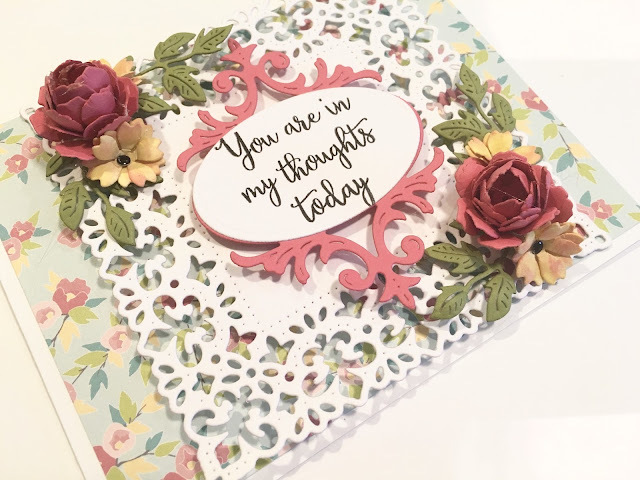 Thank you for stopping by and hope to see you cards in our newest challenge.